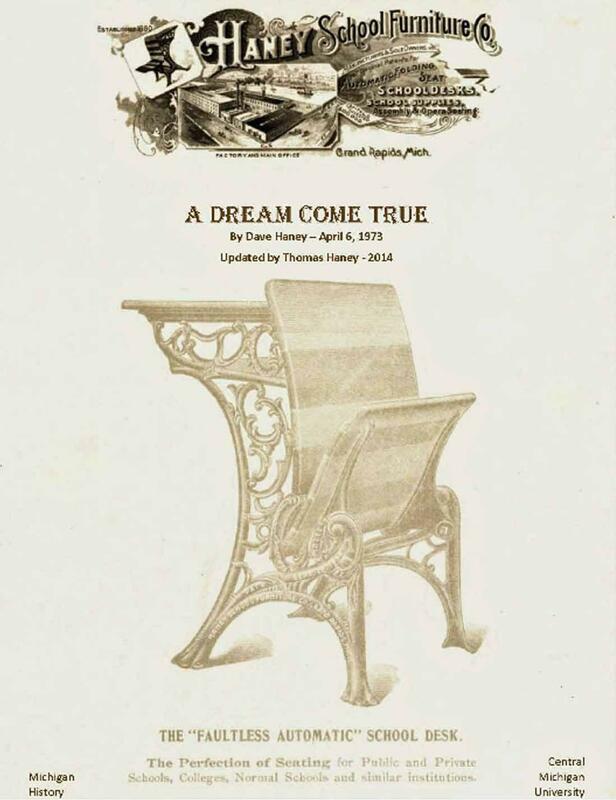 This history of Grand Rapids’ Haney School Furniture Company covers the evolution of the school desk and the Haney company’s influence on the industry from its origins in the late 19th century to its sale in 1966. Innovative from the outset, the company introduced and patented designs that increased manufacturing efficiency and eased installation and maintenance. 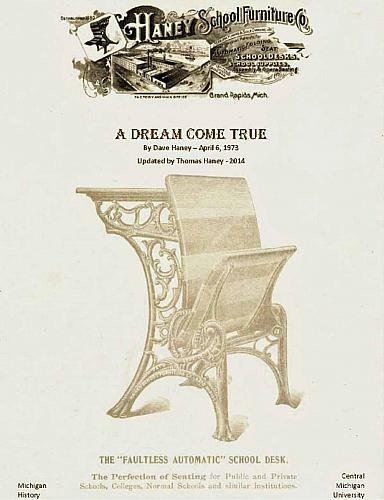 Its flip-up seat, patented by company founder Elijah Haney in 1888, brought national prominence to the company. The history was written by Dave Haney and later updated by Thomas Haney.